After Fibark, I rallied back to Boulder and spent another couple nights in the Front Range. Scotty, Dodge, and I ran Blackrock into Lower Clear Creek, and the next day we met up with team Ledyard to run the marathon stretch of the Poudre, after which I drove the seven hours to Salt Lake. 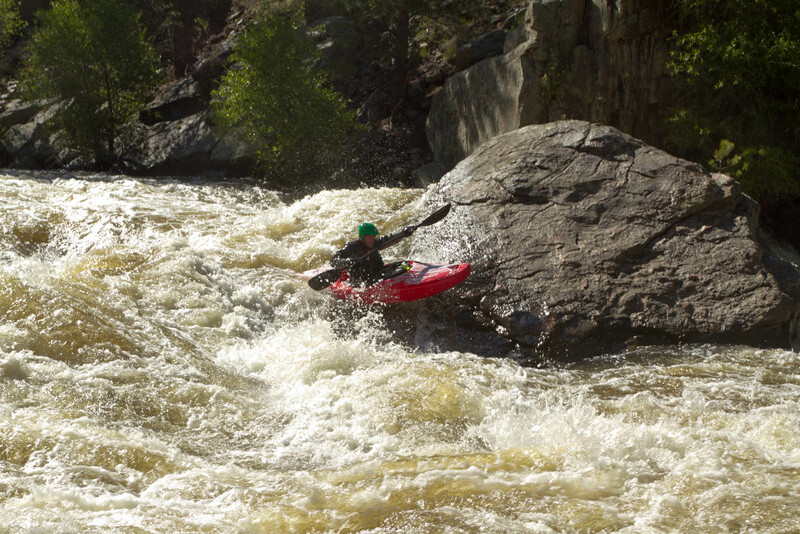 Me grinning on the Pineview splat rock on the Poudre. Photo Anson Moxness. Undercut 25'er on the Upper Provo near Salt Lake. Unfortunately, Ben had to work again the next day and I couldn’t find anyone to go run it with me. So I drank beer in a movie theater instead of kayaking. 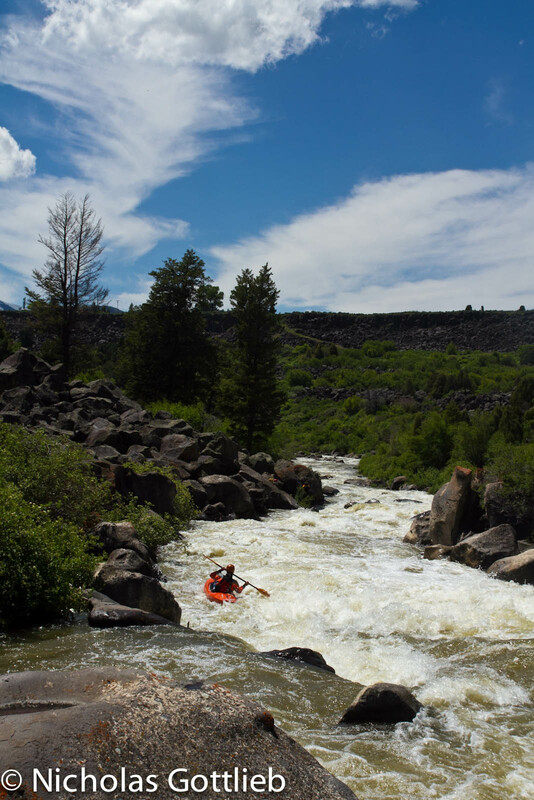 Next day, Ben, Chris Zentner, and I rallied up to the Black Canyon of the Bear, thinking there was a 900 cfs release. 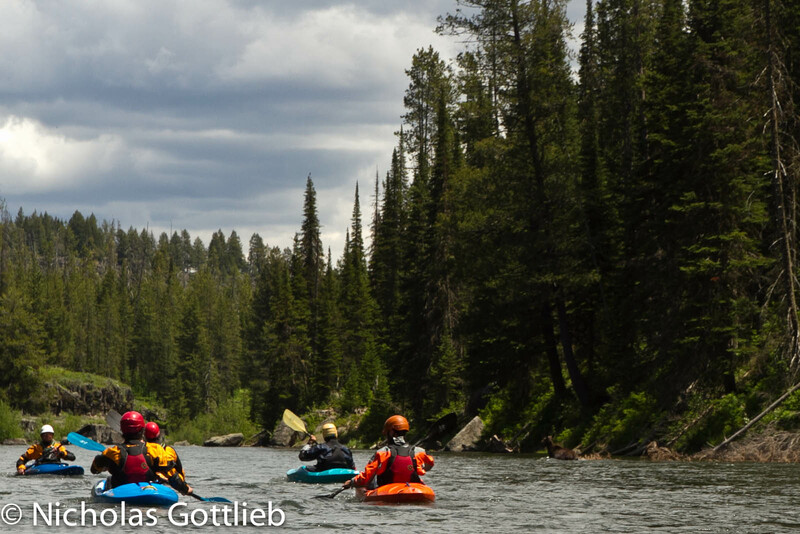 We convinced east-coast transplant Sam Lowenthal to come down from Jackson, WY and meet us there. 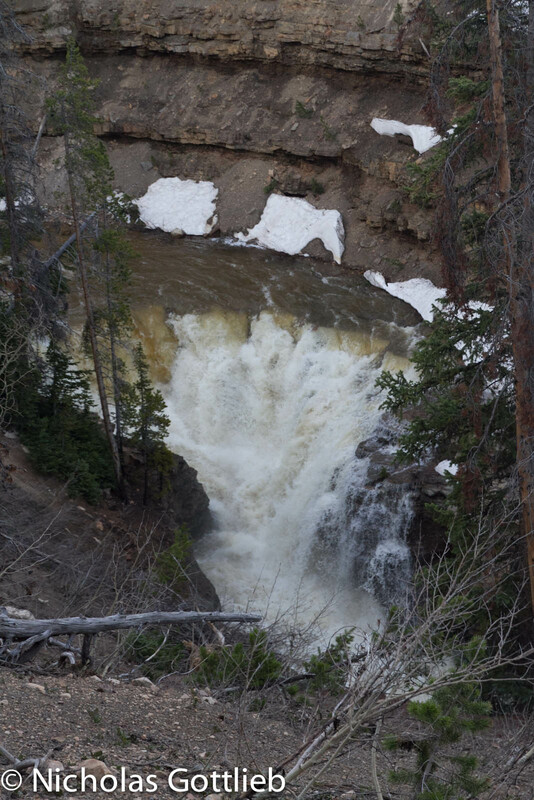 As it turned out, it was a little lower than 900 cfs, but it was still pretty fun and a beautiful canyon. Chris on Boo Boo on the Black Canyon of the Bear. 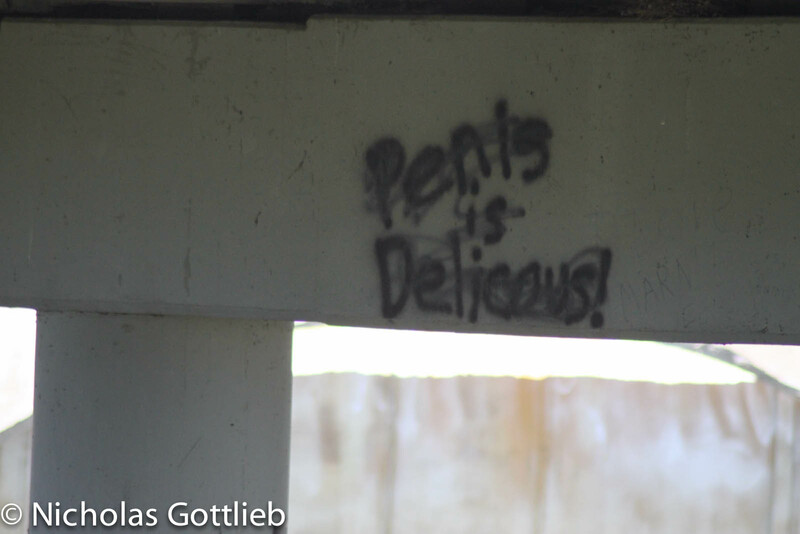 Apparently there's some debate on the matter in Grace, ID. Also, there's a burrito bus there. Check it out. Then, Sam and I drove back towards Jackson and ran two laps on the Greys river at 5.4 on the gauge, about 4000 cfs…a great time. Ben and Chris shot a little bit of video on the biggest rapid, if I ever get enough footage to put a video together I’ll include it. Today, after spending the night in Jackson, we met up with Sam’s friends Dave and John and headed up to the Henrys Fork. 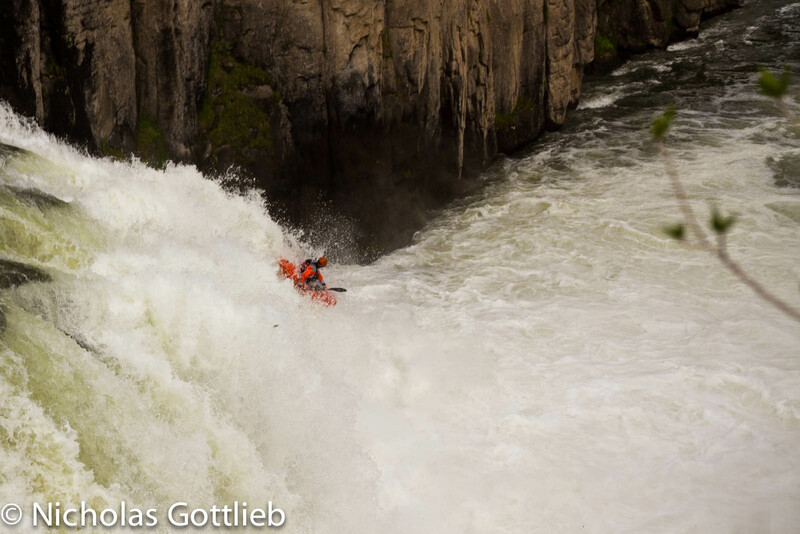 We put on for the full run which is about 14 miles long and includes quite a few drops, culminating in Upper Mesa Falls (as yet un-run but gorgeous looking), Middle Mesa Falls (a sweet 15′ boof), and Lower Mesa Falls, the famous park and huck. 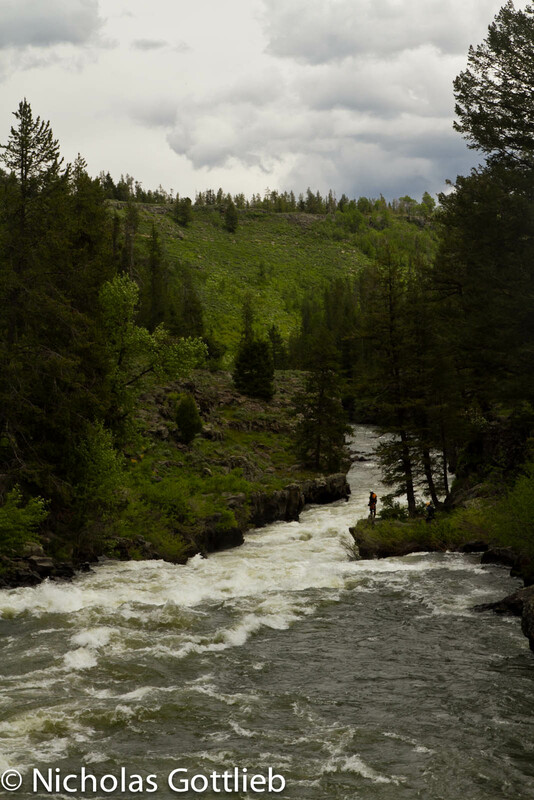 Dave and John scout the first rapid on the Henrys Fork. It's great paddling with this guy, but he makes shuttle a bit of a pain. Finally, we got to Lower Mesa Falls, the first waterfall I started dreaming about (back when I was 16, living in NYC, and reading and re-reading the AW description for the Bottom Moose). It looked great. Dave and I ran first so I could set up to shoot photos of everyone. I spiraled off the first drop in such a way that I actually caught the eddy on river left between the drops and was able to set up nicely for the second. I shot some video of Ben’s line — let’s just say “Switch to the road” is not exclusively a skiing motto — and stills of everyone else. Chris on the bottom drop. John on the top tier. Took a full sequence of him from this same angle...as soon as I figure out how to stitch photos together, I will. Sam on the top drop. 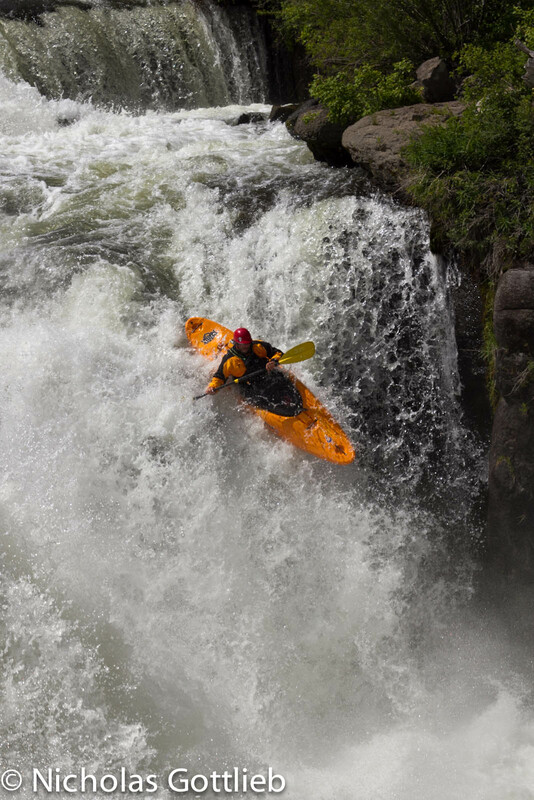 You slide in literally 5' upstream of this. Next stop Montana. 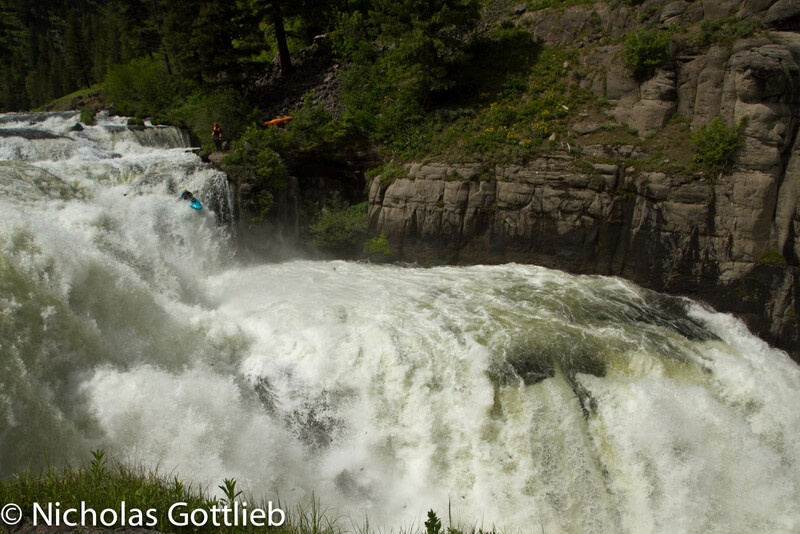 Well, first some Gros Ventre dawn patrol laps with Sam tomorrow morning, then up to Bozeman, hopefully via Quake Lake.